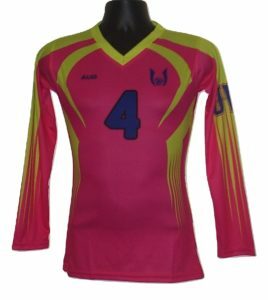 Our long sleeve sublimated volleyball jersey is our number one selling women’s style. Available in a variety of fabric options and build to order for your team, our custom jerseys are worn by teams, clubs, and schools around the country. All decoration work is included with your jersey. Take your game up a level and dominate the competition when you take the court.